Pepe: My Autobiography - LFChistory - Stats galore for Liverpool FC! A ‘good’ footballer might have an autobiography published shortly after his playing-career is over; a ‘great’ like Gerrard or Carragher can get away with it while they are still playing competitively; and Royalty like Kenny Dalglish can publish a book any time they please. We can comfortably put José Manuel Reina into the second category even though his playing-career might be barely 50% over. At 29 last birthday, there is no reason to think that he won’t be able to play until his 40th birthday or beyond it as some illustrious goalkeepers of the past have done - Dino Zoff, Ray Clemence & Peter Shilton to name just three. Plus he only has to look to his Premier League rival and contemporary Brad Friedel for further proof that goalkeepers often play on years after outfield players. This book, superbly put together by respected journalist and The Liverpool Echo’s former L.F.C. reporter Tony Barrett, covers in great detail the life and times (so far) of one of the most popular non-British players ever to represent Liverpool Football Club. 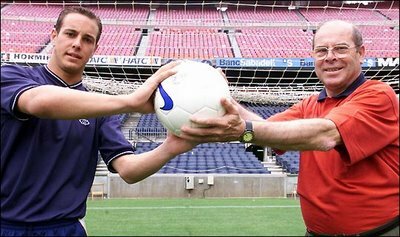 Reina flourished at La Masia, Barcelona’s training facility where his father’s contacts enabled him to secure a trial. But there the assistance ended. There would be no accusations of nepotism if the son one day became as well-known as the father. “My father handed me the key, now I had to open the door and show that I could walk through it on my own.”. No fewer than seven players in the Spanish squad that won the World Cup in 2010 had come through Barcelona’s youth ranks. “We went to La Masia to follow a dream and the dream came true”, recalls Pepe. But the dream took a detour when he joined Villareal after accepting that he would not be first choice for Barcelona. Three happy years in the Valencian community followed before he became aware of Liverpool’s interest. Rafa Benitez made many telephone calls to the 22-year-old ‘keeper assuring him that he was doing everything he could to get the deal finalised. But bizarrely Reina ended up playing a part in the negotiations for his own transfer because Benitez urged him to ask Villareal if they would reduce their asking price. Even more bizarrely, the goalkeeper was asked if he could get his agent to reduce his wage demands! Reina admits that he faced a language problem when he arrived in England because the only English he knew was the little he had learned at school. Even with the influx of Spanish personnel at both Anfield and Melwood, Rafa insisted that the players spoke English together. “It was a handicap to have so many Spanish-speaking people at Melwood because it was easy to lapse into speaking in our native tongue. Rafa kept on going on at us, telling us that we had to speak English all the time.” But Pepe and the other Spaniards did sometimes chat to each other in Spanish IF they were confident that Rafa was not within earshot! Reina had to get used to English customs quickly as well as learning the language. He was somewhat baffled when captain Steven Gerrard made a point of congratulating him after keeping ‘a clean sheet’ on his official Liverpool debut, a goal-less draw at Middlesbrough. This would not have happened in his homeland. Nobody can argue that Pepe Reina has not given a colossal amount back to the Liverpool supporters and the club that has employed him since his arrival in England in 2005. This fine book recounts those years and the years that came before it that made Reina into the man he is today.